Your kitchen and bathrooms take a beating. Water is flying everywhere in both rooms, all kinds of soaps and chemicals are spilling on the floor, and both get their share of various stains and scrapes on the flooring. So, when faced with having to put in a new kitchen or bathroom floor you might have narrowed your replacement materials down to either ceramic or vinyl tile. Here are some advantages and disadvantages to both materials that should give you some direction in your decision making. Ok, so first off let’s start with the advantages of vinyl tile. Given that vinyl tile is synthetic, it is much easier to nail a particular look or style that you may be looking for. Your options in color and design will be much greater, thus finding something that fits in with your vision will be easier. Given that it is flexible, and often comes in a peel-and-stick format, you can install it much easier than other types of tile without have to do as much tearing up or demolition before your begin your project. Also, if you live in a house that has a foundation that shifts frequently, you are much less likely to end up with cracks in your flooring with vinyl, whereas a hard material such as ceramic, stone, or porcelain would break. Lastly, the price of vinyl is going to be much less than the other available materials, both in materials and labor. The disadvantages of vinyl tile are mostly in the durability and appearance categories. Vinyl tile will usually not look quite as good as its harder contemporaries. As far as durability goes, vinyl has a tendency to rip and tear more easily. Sometimes the color might fade over time, giving it a dull appearance. Also, vinyl tile will not increase the value of your property as much as putting in a harder alternative would. Some people argue that it is not as easy to clean and can harbor more germs than a hard tile alternative, such as ceramic. 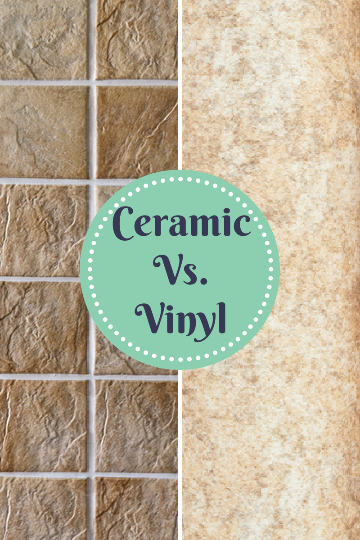 Ceramic tiling typically looks better than vinyl tiling, and brings with it more durability than vinyl. It is so durable, in fact, that there is still ceramic tile from ancient times in various Roman and Egyptian ruins. Given how easy it is to clean, it is an excellent flooring choice for bathroom and kitchens. Ceramic tile can also be used for your walls and backsplashes throughout your kitchen and bathroom. Whereas you generally don’t want vinyl tile to be exposed to a lot of water, ceramic tile can handle plenty of it without peeling or fading/wearing out. Generally, ceramic tile is a better investment, albeit more pricey for installation and materials than vinyl. As stated in the last paragraph, ceramic will be a bit pricier than vinyl. You also need to pay attention that all of the tile you are getting is from the same lot, as sometimes the colors and sizes will vary from lot to lot, even if you are purchasing the same brand and style of tile. If you have a foundation that moves a lot, it can cause large cracks to appear in your tilling. Also, if a crack appears in your tiling, it is a much bigger ordeal to replace ceramic tile than vinyl. While both types of tiling prove to be worthy investments of time and money, if you have a house that is on sturdy ground and the available cash, ceramic tiling would be the better investment of the two. Now, this is just my personal opinion and it is always wise to consult different contractors, real estate agents, and interior designers if you want a really well-informed opinion from someone that is more familiar with your area and type of house. There are probably plenty of situations where the vinyl might be a better choice. 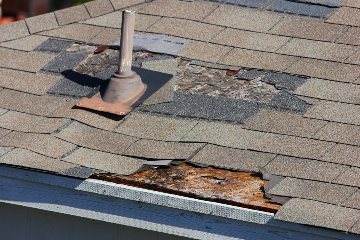 As with any type of renovation or repair in your house, you should do plenty of research before shelling out ANY cash.